Being self-employed is a dream for many people. You can feel as though you are in charge of your destiny. But before you take the leap, make sure you know what it means for your taxes to be self-employed. In fact, as a self-employed professional, you are likely to pay more when it comes to payroll taxes. When you work for someone else, your employer pays half of your Medicare and Social Security taxes. But when you’re self-employed, you pay both ends of those taxes, and that can increase your tax burden. Luckily, there are ways to legally reduce your tax liability as a self-employed professional. Here’s what you need to know. (Remember, this post is for educational purposes only. For tax specific tax advice, be sure to consult with a reputable accountant). What you pay into Medicare and Social Security is known as the self-employment tax. Don’t forget to deduct between 50 and 57 percent (depending on your situation) of your self-employment tax on your personal return. This can reduce what you owe overall. Add your costs, and deduct them. As a self-employed professional, you can lower your tax burden by deducting business-related costs that you pay throughout the year. These costs include what you pay for equipment, business use of your vehicle, attendance at conferences and networking events, trade association memberships, and advertising and marketing costs. Save receipts, and deduct these items on your Schedule C (or another place on your return, depending on how you file). For an in-depth guide to common expenses and tax deductions for the self-employed, click here. You might be surprised to discover that the way you organize your business can make a difference in your tax burden. In some cases, you’re able to reduce your tax liability by organizing as an S corporation instead of a sole proprietorship or LLC. With an S-corp election, you can pay yourself a salary and potentially avoid self-employment taxes on a portion of it. You need to keep good records and set up your accounting properly to take advantage of this option. In some cases, it can also make sense to organize as a C corporation so the first portion of your money earned is taxed at a lower rate. This option isn’t great for everyone, and problems can arise if you aren’t careful. Consult with a knowledgeable small-business tax professional before deciding how to organize your business. Read more about what structure is right for your business here. Contribute to tax-advantaged investment accounts. You don’t have to work for someone else to get a tax-advantaged investment account for retirement. As a self-employed professional, you can lower your tax burden by contributing to a Traditional IRA or a Solo 401(k), or by setting up a SIMPLE or SEP IRA for your business. These are great ways to reduce your taxes now while allowing you to save for your financial future. If you have a high-deductible health care plan, you can also contribute to a Health Savings Account and receive a tax deduction. Don’t forget that if you get health insurance through your own self-employment, you can also deduct your premiums. Combining a high-deductible plan with a Health Savings Account can be another way to reduce your tax burden while shoring up your finances. Receive better tax treatment when you offer benefits for your employees. If you are a self-employed professional who has at least one other employee, you can reduce your tax burden by providing benefits to them. Receive tax benefits for offering health care and contributing to employee retirement benefits. Read the answers to the most-asked questions about health benefits for the self-employed here. Instead of offering a raise, it may make sense to offer an increase to what you pay for employee benefits. This results in a tax advantage for your business without increasing your amount of payroll taxes for employees. Even if you don’t hire W-2 employees, don’t forget to keep track of what you pay independent contractors, which is also tax deductible. 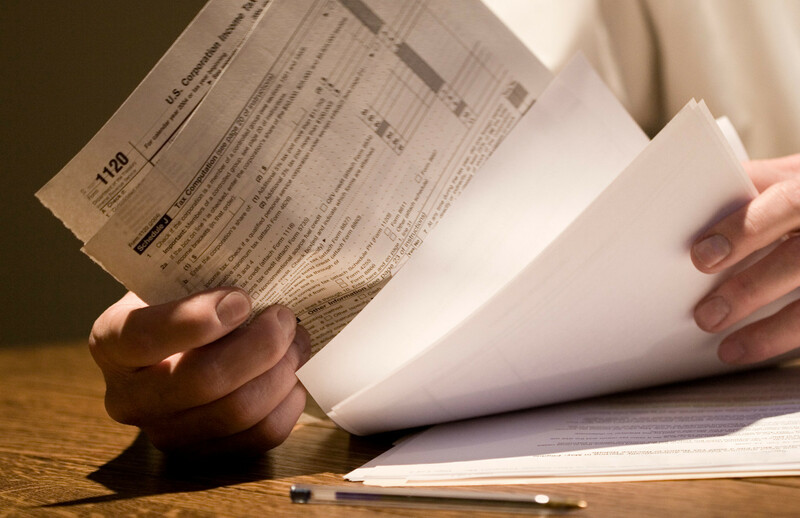 While these tips will help you lower your tax burden, the most important step in preparing taxes is having the proper processes in place and filing on time. Speak to a tax advisor to ensure your books are ready for taxes and to make sure you take advantage of all possible deductions. And use accounting and tax software, such as QuickBooks Self-Employed, to track your expenses throughout the year and to expedite and simplify the filing process. While you can’t completely eliminate what you owe in taxes, with the right strategy, it’s possible for you to reduce your tax burden as a self-employed professional. To make your accounting a breeze, connect your Square Account to Intuit Quickbooks in the Square App Marketplace.